The BMETVFM Charitable Foundation is working to change the way that the media portrays many of the issues that affects ethnic minorities. As part of this processes, we are working to encourage more people from the ethnic minorities to train for and obtain jobs within the media sector. 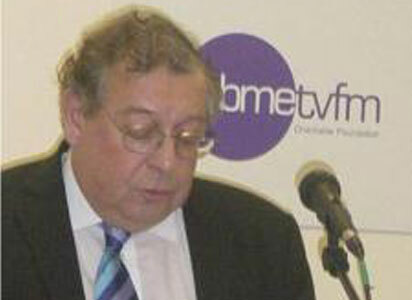 The then Minister for Broadcasting, Lord McIntosh was the Keynote Speaker at our 2004 Symposium which looked at the lack of representation of BAME communities in Broadcasting. 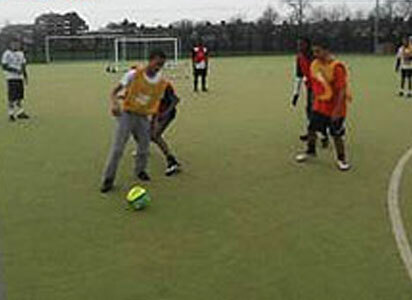 BMETVFM is about creating fairer opportunities in Creative Media & Sport and our regular workshops help to do this. 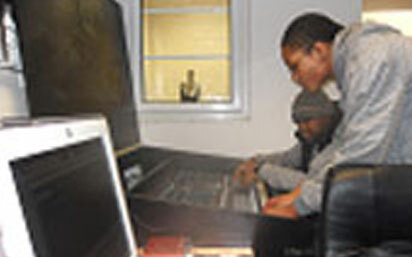 We are proud that our Film and Radio Broadcasting Workshops have helped young people at risk from exclusion. Nearly 600 Vote in the Peoples Heritage Priorities! Wow, thank you, 564 votes were received in the Peoples Priorities, just 36 short of 600 votes. The public were voting for what they want as new features and functionality on OHTV. The purpose is to find new ways of enabling young people to engage with their heritage. The result followed two weeks of online voting on OHTV, our online Black & Asian Heritage Archive. We went out into the community and held four community engagement events to elicit a wide range of your views on ways that the profile of BAME heritage can be raised, celebrated and engaged with. Many ideas were mentioned and we have complied the list of the top 20 priorities. Visit www.ourheritage.tv to vote for your favourite from the list. Ewemade Orobator, President of BMETVFM is delighted that the work of BMETVFM has been recognised with a “Entrepreneur of Excellence nomination”. “This is about the work of our team and volunteers who have delivered workshops, helped broadcast programmes online before YouTube came along and not least Our Heritage TV which is about recognising that our history is not just about October. So I am delighted to accept this nomination whatever the eventual outcome” said Ewemade. In partnership with the Football Charity, Guy Mascolo, BMETV has accepted a special invitation to take part in the London United Vitality Cup at the incredible Emirates Stadium – home of FA Cup Holders Arsenal Football Club. Black & Minority Ethnic Television, Film & Media (BMETVFM) is registered in England at the Charities Commission (1099419) and is a social enterprise organisation.